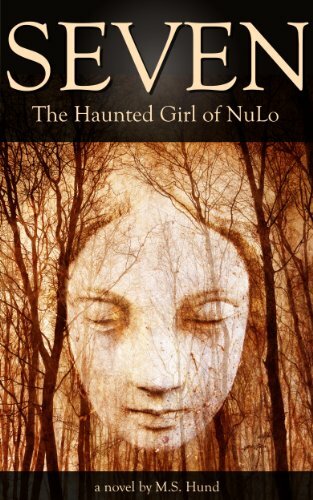 My novel, Seven: The Haunted Girl of NuLo, is now for sale on Amazon.com. For the time being, it will be exclusively in ebook format and available only at Amazon, though that will change as the year progresses. The current plan is to figure out Createspace so that a print version is available in the coming months, followed by rolling out the ebook version of Seven across most of the major platforms in April (Nook, Kobo, iBooks, etc.). The wait on that roll-out is due to Seven being enrolled in the KDP Select program on Amazon that keeps the ebook Kindle-exclusive for 90 days. So why go with KDP Select then? It's a trial balloon, really. Though I'm new to the e-publishing game, I've had my ear to the ground for a while. I know that KDP Select isn't pushing the numbers it used to, but Amazon is still the dominant marketplace for e-books. And, to be honest, I want to play with the tools and see what they can do for me as a publisher. But that doesn't mean that you can't buy and read the ebook if you don't happen to have a Kindle. Amazon has Kindle apps available across a number of platforms, and I've made a deliberate decision to publish Seven DRM-free. That means you can use freely-available tools to convert the proprietary Amazon file and move it to your preferred reading app or device should you be so inclined (and technically adept).